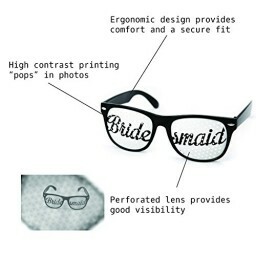 Take photos, laugh, have a great time and then let your wedding party keep them as gifts. 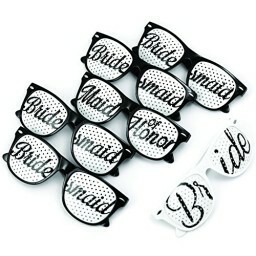 Are you throwing a Bachelor or Bachelorette Party? Do you want fun creative wedding photos of you and your wedding party? Trying to find the perfect favors? Look no further! 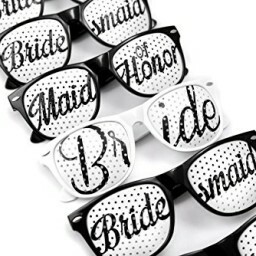 These fun and stylish wedding sunglasses are the perfect addition to your festivities. 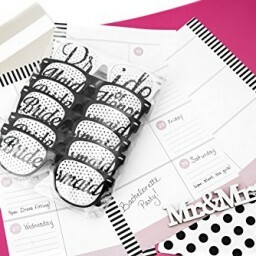 Take photos, laugh, have a great time and then let your wedding party keep them as gifts. They'll always remember your special day and the fun you shared together. Our lenses have just the right hole spacing to allow these frames to be bright and "pop" in your photos while still allowing you to see all the action.